Starting at the top … literally. Because I’m not a shorts gal and D.C. is way too hot for jeans-you will mostly see me wear these tops with a denim skirt. I snagged a great one at target a month or so ago (similar) and I’ve been tossing it on every weekend since. Why wear stripes when your shirt can just talk about them instead. A perfect slogan T in a great color. If between – size up. As I’ve mentioned before, I’m not a shorts gal but I did include a few I thought were adorable as well as the four pairs I actually own. These are the denim shorts I actually own. I wore them long like this for 3? years and then this summer, I hacked off 5 inches and folded them over. Size down if between. I wear a 4 (normally a 28 in denim). 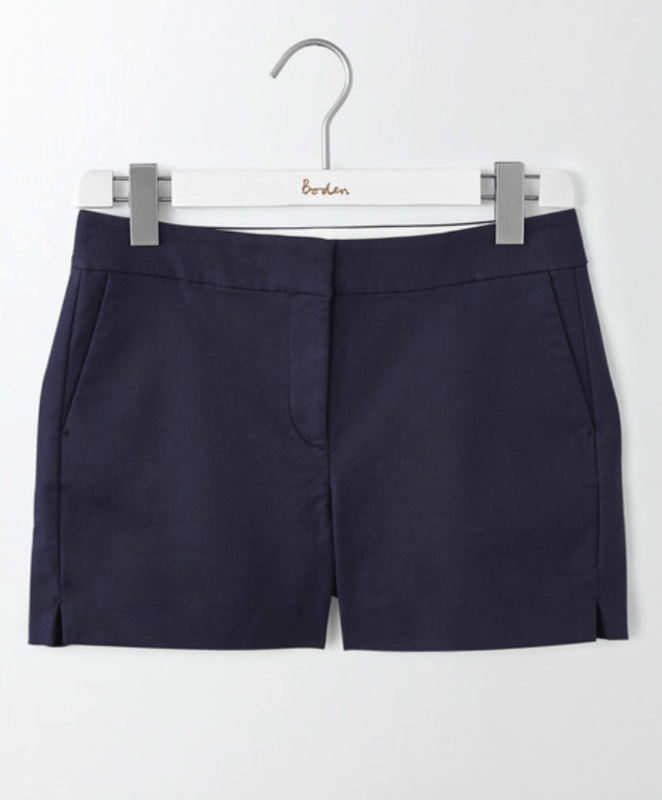 These are the Boden shorts I actually own (Richmond). I have coral and pink both in the 4 inch leg (although there are many a days I think I would prefer the 6 inch). For the holiday I would pick red or navy. Pair these red shorts with the silk shirt above, add the tassel earrings below and you have the perfect festive look. Because it’s 4th of July you should include a few fireworks … I mean accessories. Tassel earrings do the trick!! And for purses you are either carrying tons of stuff (think tote) or you want to be hands free (think back pack). These are some of my favorites! It’s 4th of July so why not put something a little fun and unexpected in your ears? The beauty of these Baublebar earrings is that they are lightweight so they won’t kill your ears after a few hours of wearing them. If I only bought one backpack for the rest of my life it would be from Herschel Supply Co. They are made to last. I love the leather strap detail on this one and the full cover … no one is getting in there without your knowledge. That’s the end of the July 4th round up. If you missed the other two 4th of July Edits, you can find the Dress Edit here and the Shoe Edit here! Next week I will be talking travel style (because I’m traveling again …). If anyone has any good recommendations in Yuba City … anyone?!? Anyone?!? Enjoy the last bit of the weekend!